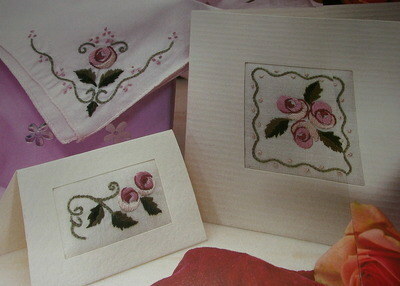 THREE embroidered roses designs are included. Colour templates included for tracing. Full detailed instructions provided for working the design. DMC, Anchor and DeVere threads listed.